The surface must be flat and dry, mechanically strong and free of loose parts, grease, oils or waxes. Always retire existing coating or paint, filing in any cracks with cement in order to flatten the surface. Mix CUPA STONE natural stone tiles from several pallets or boxes to ensure a proper distribution of color and shades. 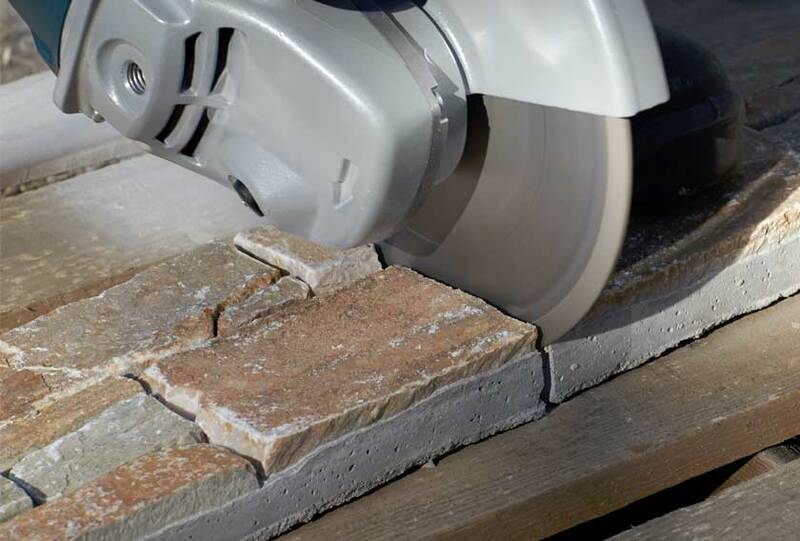 Clean the back of the natural stone tiles of any dust and dirt with clean water. 1. Use a high performance cement-like adhesive, following manufacturer’s instructions. Apply adhesive with a notched trowel, spreading it on both on wall and natural stone tile. 2. Leave a small expansion joint in order to absorb the product, support and adhesive expansions. Seal it with a suitable product in order to prevent moisture from damaging the bond. 3. In addition to the aforementioned small expansion joint that must exist between the natural stone tiles, another expansion joint of about 10mm should be left every 6 ml or 35 m², always respecting the building expansion joints. 4. 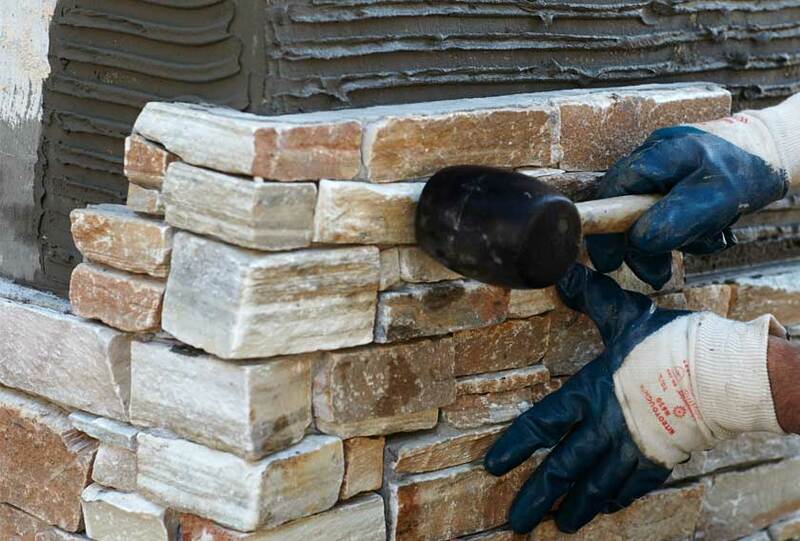 When installing on an exterior wall, a mechanical anchor must be used if the adhesive does not guarantee 100% grip. The anchor must be in accordance with the characteristics of the natural stone product. Before installing any natural stone product on exterior walls, please take in count your country applicable regulation. These recommendations are based on the knowledge and experience of CUPA STONE staff. Since the conditions of application are beyond our control, the installer must analyze whether the product is suitable for the intended use or not. For further information, visit CUPA STONE website.